With the exception of Jane Fonda’s interviews with Vietnamese in her 1974 documentary “Introduction to the Enemy,” I don’t think I’ve heard an actress speak French more beautifully or appropriately in a film than Jodie Foster’s narration for “Be Natural: The Untold Story of Alice Guy-Blaché.” Any director, but particularly women; any cinephile, particularly women, will revel in this examination of the life and work of Paris-born Guy-Blaché, one of the inventors of cinema, who directed, wrote or produced over 1,000 films, including an estimated 150 films with synchronized sound. Pamela B. Green’s documentary is part biography, part detective story. 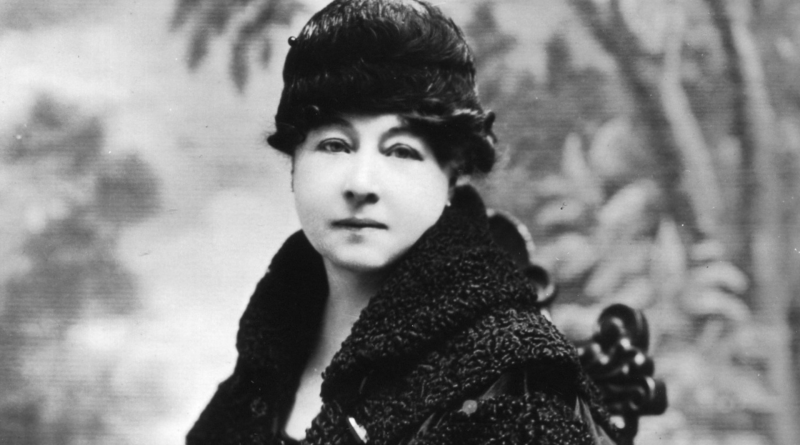 Many viewers, thankfully, will already know who Alice Guy-Blaché is, thanks to well researched books by Joan Simon, Jane M. Gaines and Alison McMahan (all interviewed in the film). Thirteen of Guy-Blaché’s films are collected in the recent, superb DVD box-set from Kino Lorber, “Pioneers: First Women Filmmakers” (curator Shelley Stamp was an AWFJ Spotlight subject at the time of its release). For those unfamiliar with Guy-Blaché, this film is a great introduction. She started making films in 1896 when cinema was not just in its infancy, but barely born, while working as a secretary for the Leon Gaumont film company. She quickly became not just its most prolific and innovative director but rose to head of production at the studio. She moved to the U.S. after marrying a Gaumont employee, Herbert Blaché, in 1907; in 1910 she set up her own studio, Solax, in Fort Lee, New Jersey. Besides a treasure trove of film clips, there are interviews with numerous women working in the industry and conversations with long-lost Blaché relatives who provide insightful letters and photographs. There’s so much rich material in the film that I often wished Green slowed down and lingered with a particular subject or revelation. There is an amazing amount of history about the early movie business, how it worked, how it changed, how so many silent films came to be “lost,” that it’s almost too much to take it all in. Fascinating but shocking, not to mention angering but not surprising, is detailed information about how male critics and historians wrote Guy-Blaché out of cinema history or, worse, attributed her groundbreaking work to others (men, of course) by sheer sloppy and lazy research. Of course, the record has since been corrected. Thanks to the work of dedicated archivists, historians and writers, Guy-Blaché has finally been given her proper due as being every bit as essential to the evolution of early cinema as Méliès, the Lumiere brothers or D.W. Griffith, “Be Natural: The Untold Story of Alice Guy-Blaché” is an important contribution to making sure no one ever again asks “Who?” at the mention of Alice Guy-Blaché.